Time can take a toll on your skin's appearance. Transform the appearance of aging skin with this duo that features Telomere Technology and other key ingredients to leave skin looking smooth, even and refreshed from head to toe. With light, silky textures and antioxidant complexes that help defend skin against free radical aggressors, these innovative products will have you feeling more beautiful than ever before. Juvinity and PhytoSonic are trademarks of Sederma, Inc.
Silusyne is a trademark of Lipotec S.A. Ingredients: Water, Euglena Gracilis Extract, Caffeine, Glaucium Flavum (Leaf) Extract, Chondrus Crispus (Carrageenan) Extract, Hydrolyzed Chondrus Crispus Whole Plant Extract, Sodium Hyaluronate, Glyceryl Polymethacrylate, PEG-8, Palmitoyl Oligopeptide, Glycerin, Propylene Glycol, Bupleurum Falcatum Extract, Coenzyme A, Butylene Glycol, Coco-Glucoside, Caprylyl Glycol, Alcohol, Glaucine, Caprylic/Capric Triglyceride, Geranylgeranylpropanol, Citrullus Lanatus (Watermelon) Fruit Extract, Thermus Thermophillus Ferment, Beta Vulgaris Root Extract, Haberlea Rhodopensis Leaf Extract, Yeast Extract, Panthenol, Carbomer, Butyl Methoxydibenzoylmethane, Diazolidinyl Urea, Methylparaben, Propylparaben, Triethanolamine. 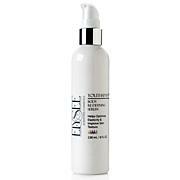 Ingredients: Water, Ilex Paraguariensis (Leaf) Extract, Butylene Glycol, Coffea Arabica (Coffee Seed) Bean Extract, PEG-60 Almond Glycerides, Glycerin, Cetyl Hydroxyethylcellulose, Glyceryl Stearate, PEG-100 Stearate, Soybean (Glycine Soja) Oil, Propanediol, Sorbitan Sesquioleate, Isohexadecane, Hydroxypropropyl Starch Phosphate, Sclerotium Gum, Sodium Hyaluronate, Lauryldimonium Hydroxypropyl Hydrolyzed Soy Protein, Acetyl Hexapeptide-39, Butyrospermum Parkii (Shea) Butter, Cetyl Alcohol, Cyclopentasiloxane, Teprenone, Caprylic/Capric Triglyceride, Thermus Thermophillus Ferment, Darutoside, Theobroma Cacao (Cocoa) Seed Butter, Allantoin, Mica, Titanium Dioxide, Carbomer, Propylene Glycol, Diazolidinyl Urea, Methylparaben, Propylparaben, Triethanolamine. 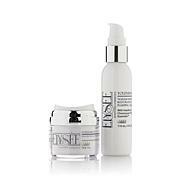 I love all of the Elysee products! And these products are no exception! 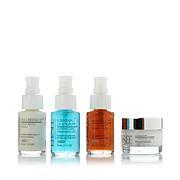 These products for the body have helped with elasticity and giving me more confidence on wearing sleeveless tops at 61. Thank you Linda and HSN ! 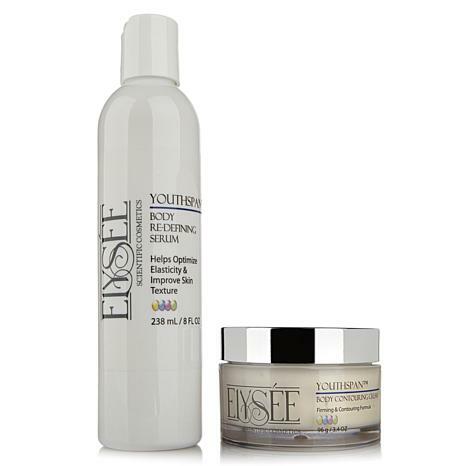 Everything Elysee makes feels so good on the skin. Would highly recommend any of her products, the products does everything she says they do. 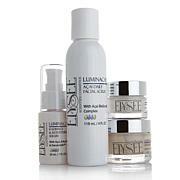 I like all of Elysee products. I have been using this product for a few months now, and it really works. I use it twice a day and I can honestly say the crappie looking skin on my arms looks smooth again. Thank you Linda, & your family for making such wonderful products!! These products are amazing. I only wish they came in bigger sizes, especially the body cream. The 3 oz. cream is gone very quickly. Please bring this cream in a larger size. It's excellent. I never want to be without it. Thank you. Upon arrival 2 weeks ago I applied immediately to my hands, arms and legs then forgot about it. About an hour later as I was drying my hands I did a double take because I did not recognize my own hands! Literally!! I hadn't seen those hands in 20 years! My skin is so very smooth and silkie, no more leathery feeling above my knees and very little crepiness remaining anywhere. I sometimes use it 2 x/day, but alwsys once in the a.m. I can't believe how soft and young my skin looks. It seems to get nicer each day. GREAT product, hope it works for you.